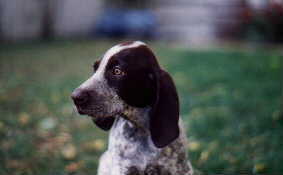 Minado's Wild Poppy (Poppy for short), is a German Shorthaired Pointer, and was born on July 27th, 1997. 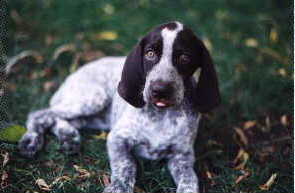 Poppy's father is Champion Lieblinghaus Chief Executive CD., JH. 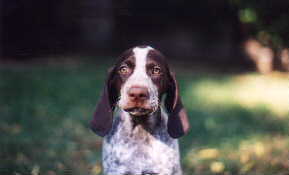 (who won both the German Shorthaired Pointer Club of America National Specialty Show in 1997, and best of Breed at Westminster this year), and her mother is Champion Minado's I-M Precious Crystal, dam of the number one German Shorthaired Pointer in America for the last three years running.